Stormshadow Guitarworks SS0053 DBS Custom Shop in Mahogany with 5A Quilted Maple Top, Mahogany Neck & Pau Ferro board. FU Tone 6 Screw Tremolo. 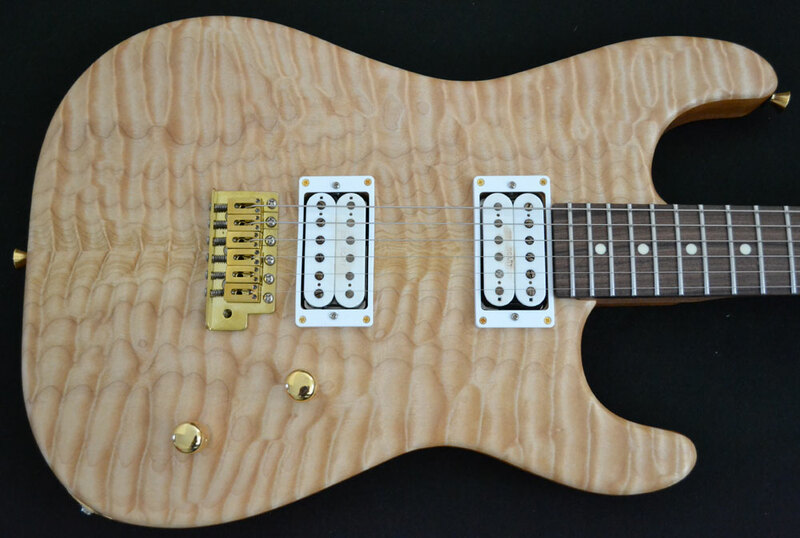 6100 Stainless Steel Frets & Arcane/George Lynch "Mr Scary" Pickups.